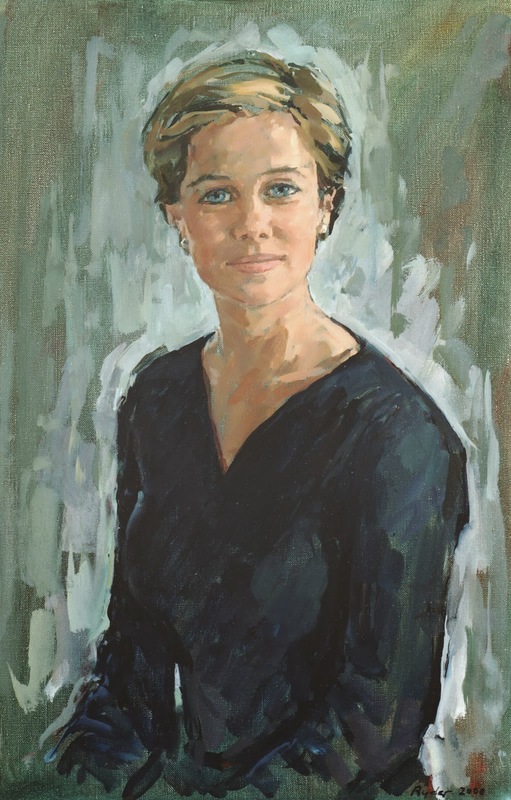 By 1981 her skills as a portrait painter were such that the Prince of Wales commissioned her to paint Diana, Princess of Wales in her wedding dress. 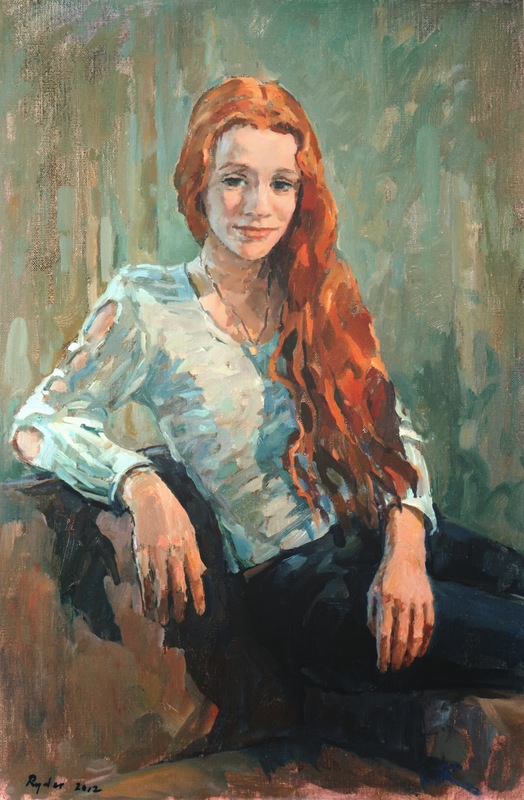 In the ensuing three decades her career has been a blizzard of activity. 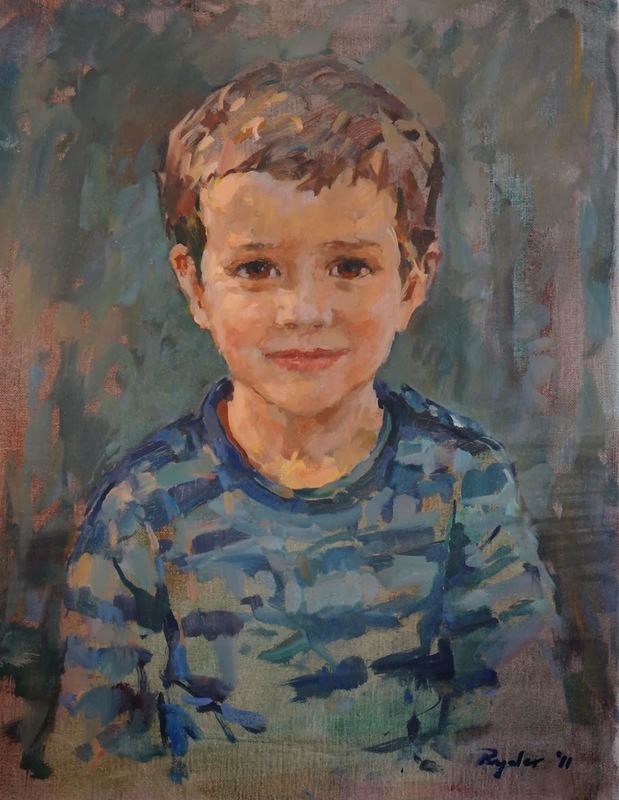 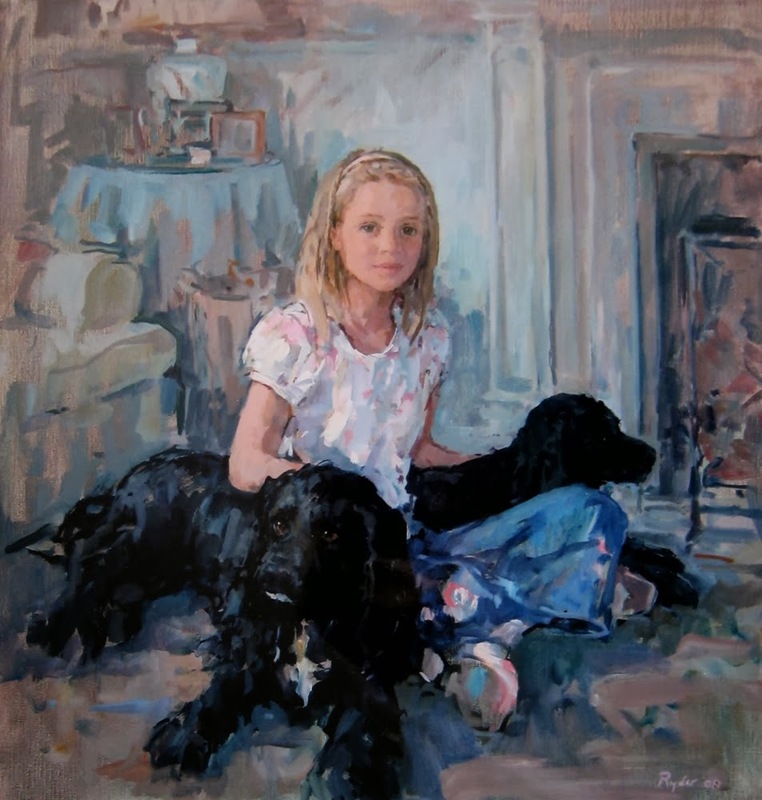 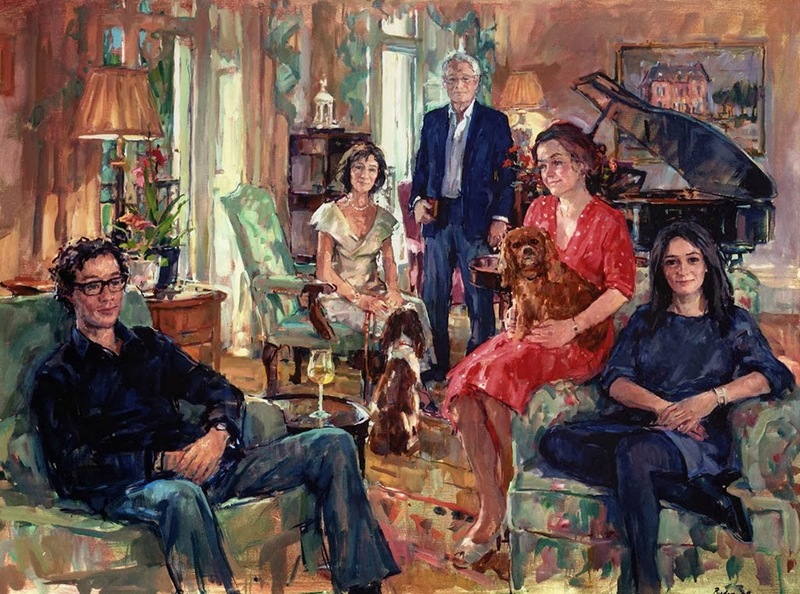 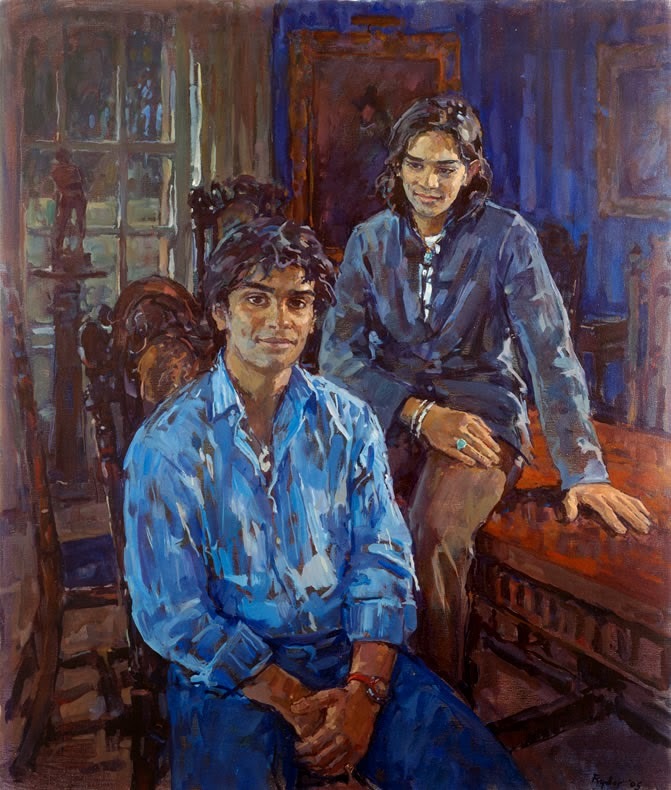 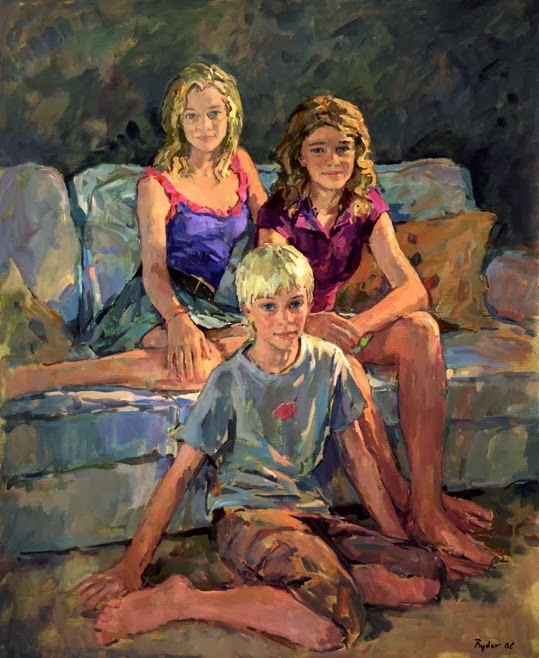 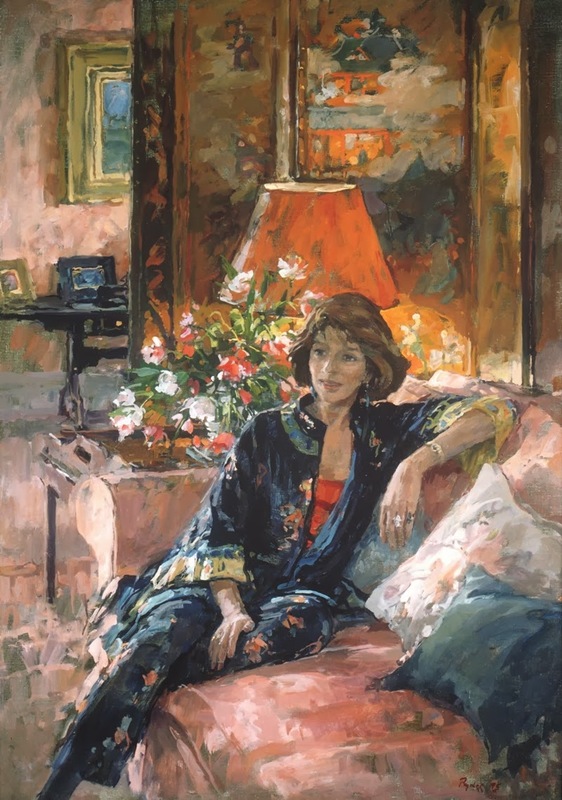 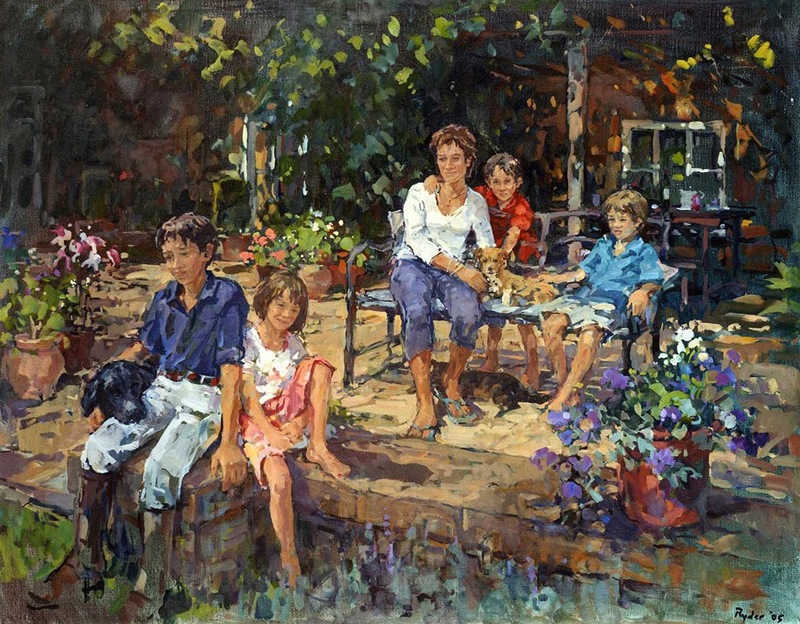 Numerous prizes resulted in Sue being elected a member of both the New English Art Club and the Royal Society of Portrait Painters, serving the latter as Vice President from 2002-2008. 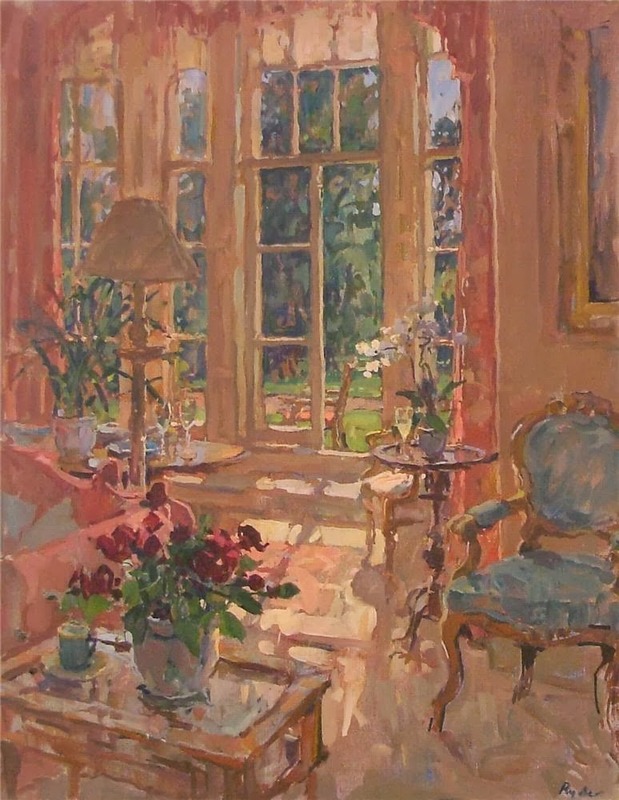 Further recognition came in 1997 with a commission to paint HM The Queen from the Royal Automobile Club, in celebration of its centenary. 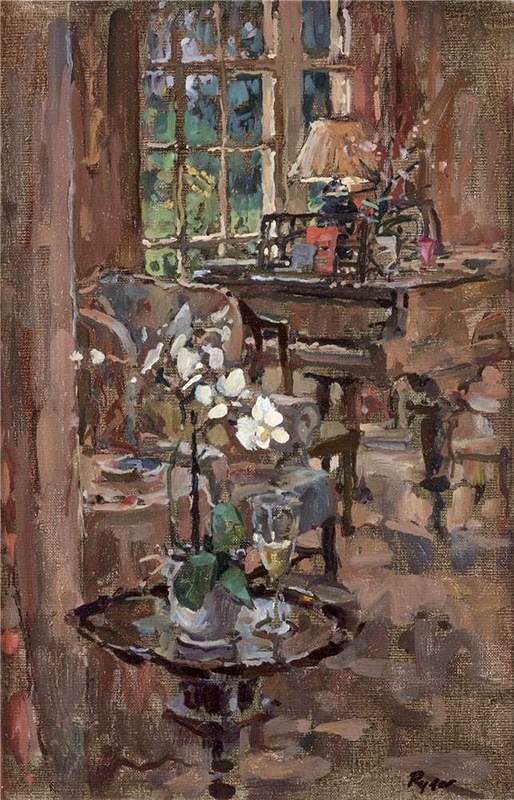 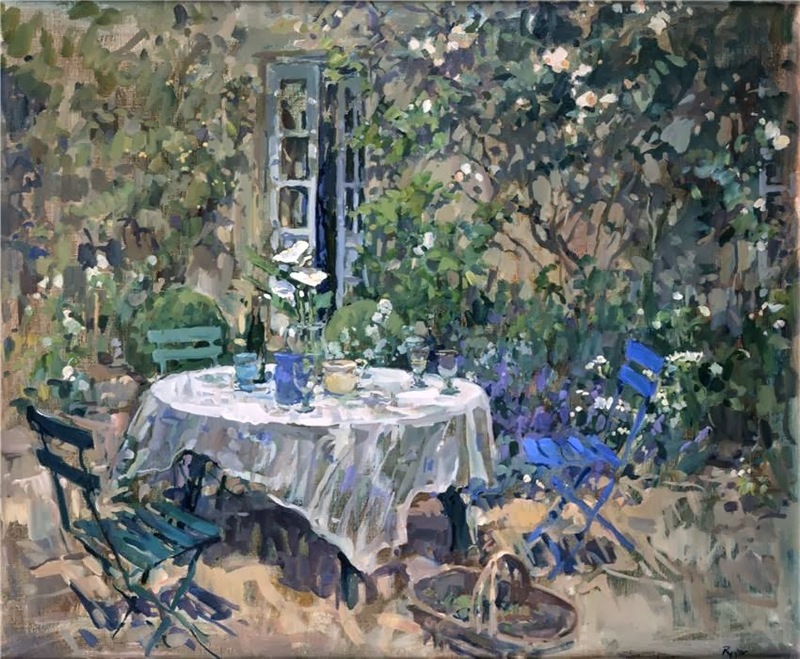 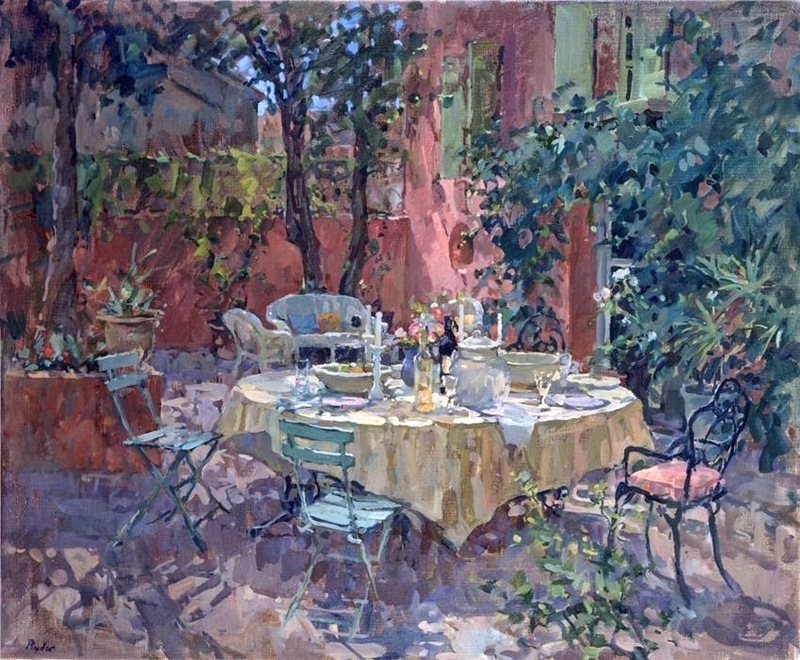 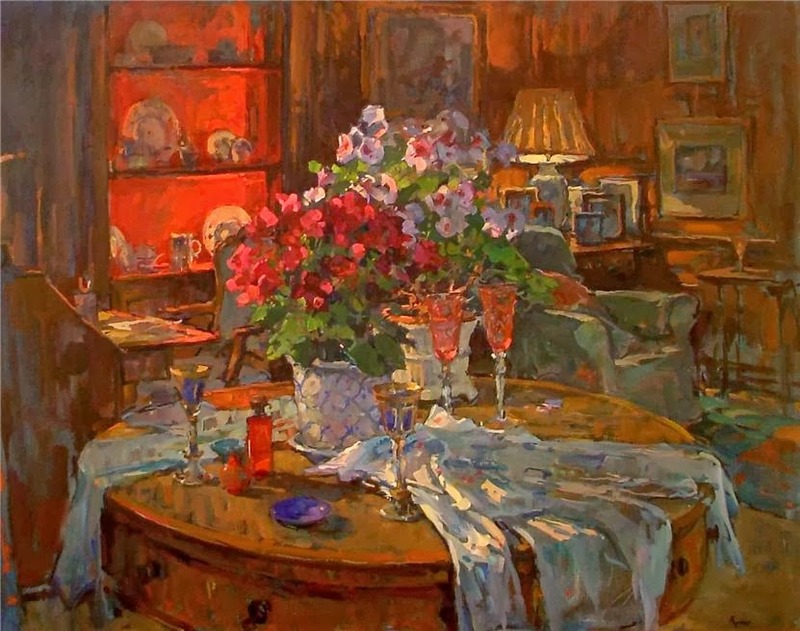 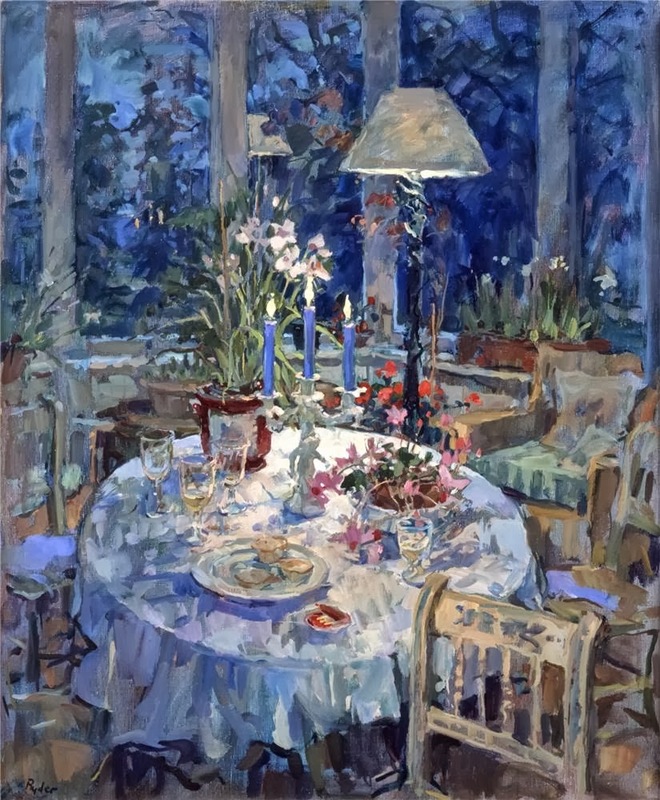 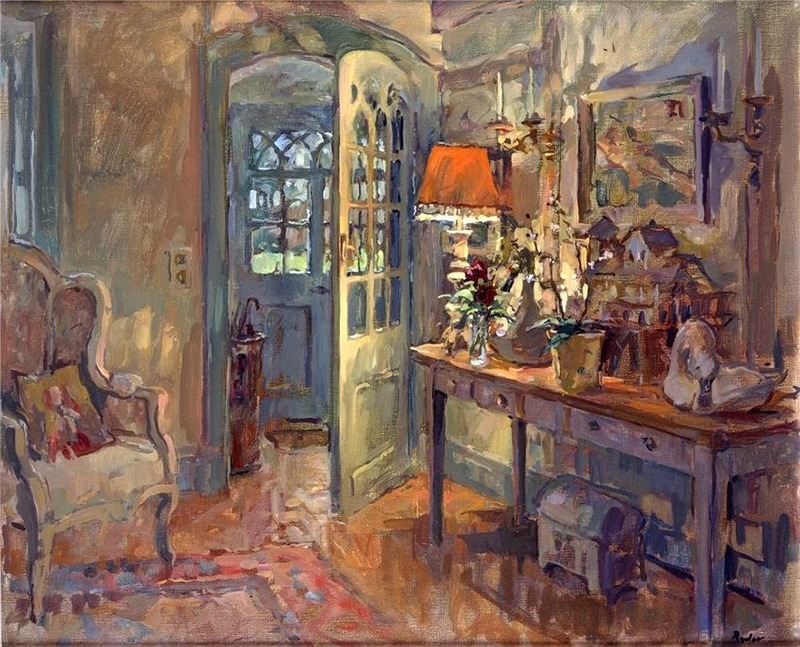 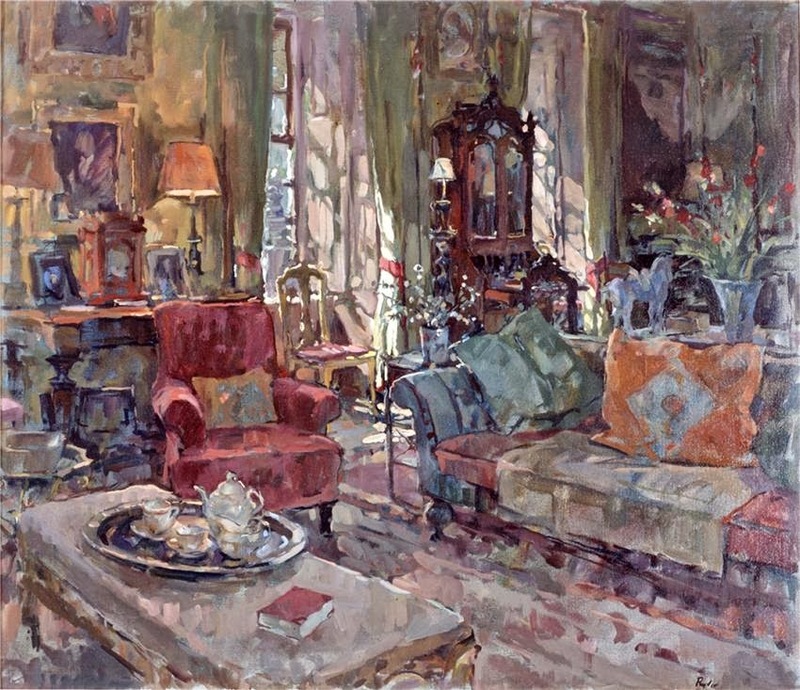 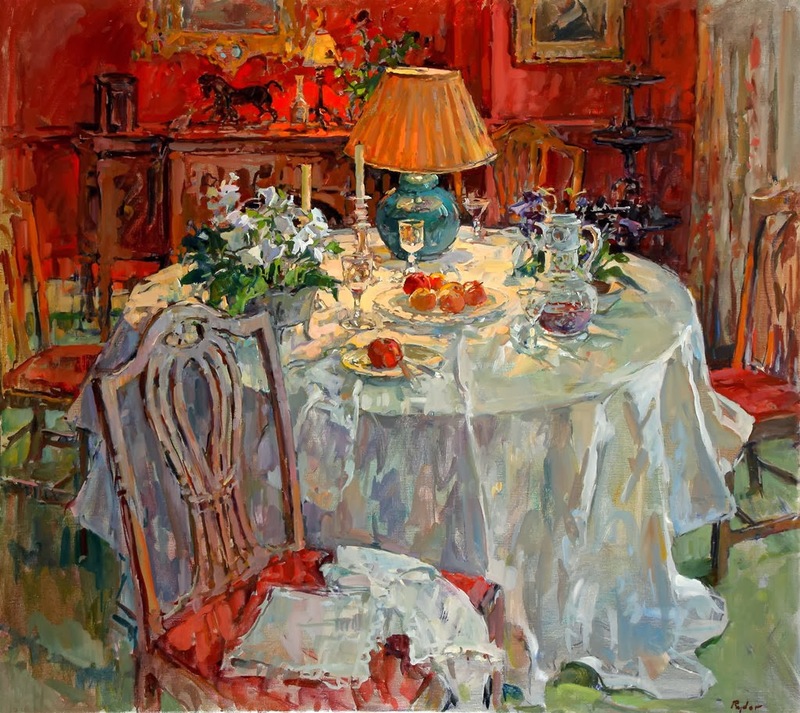 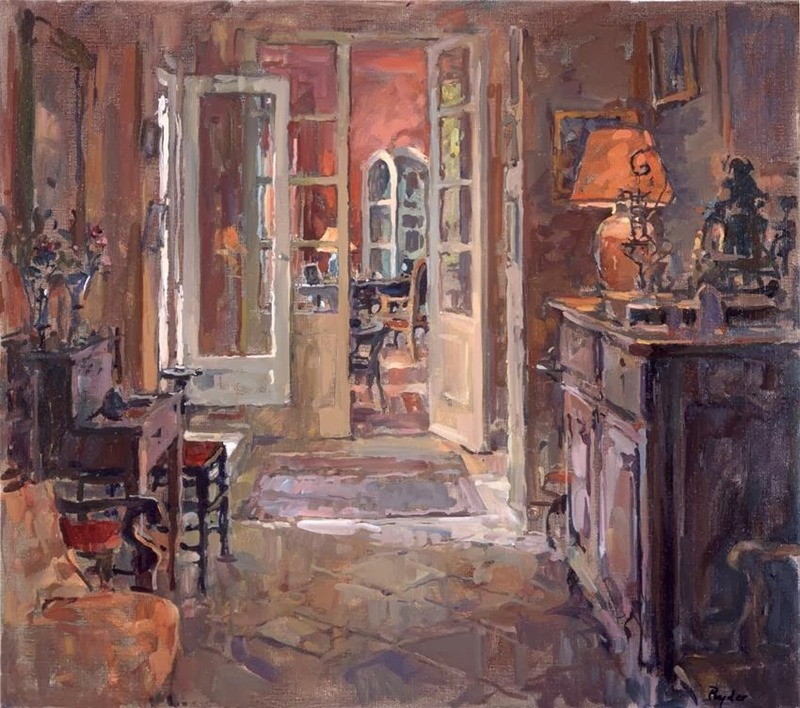 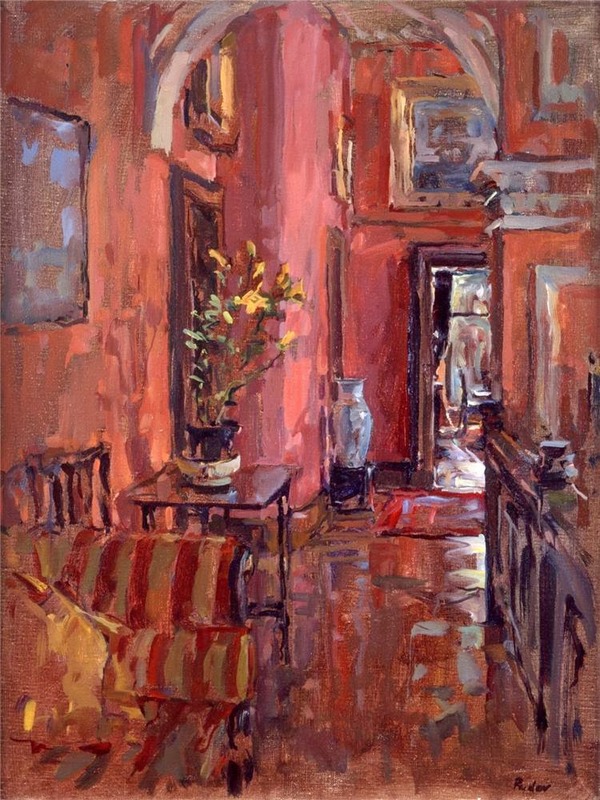 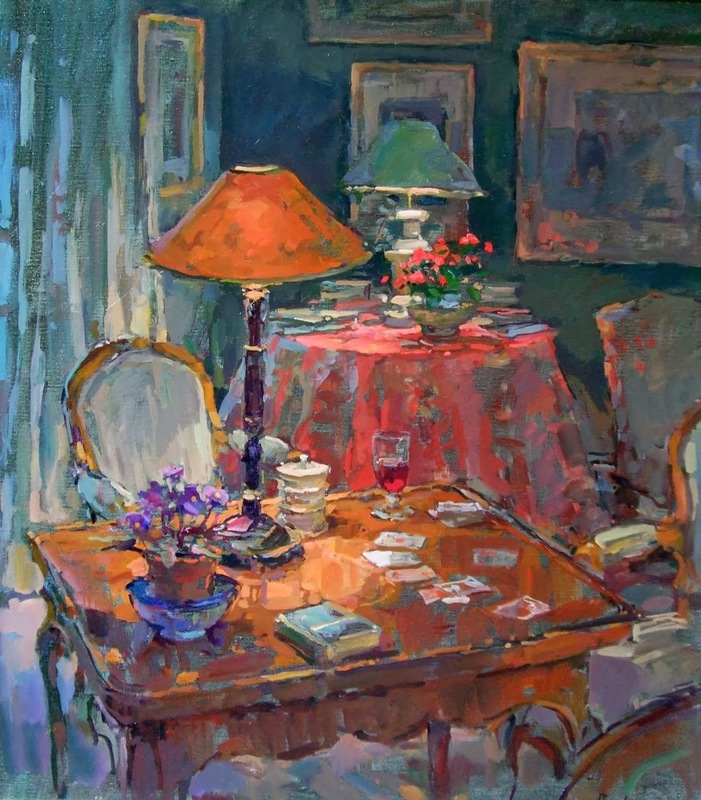 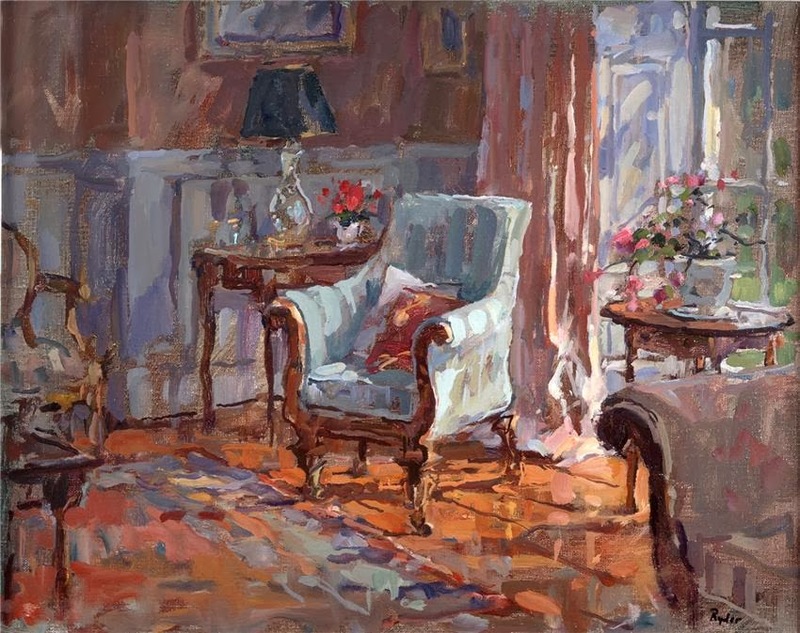 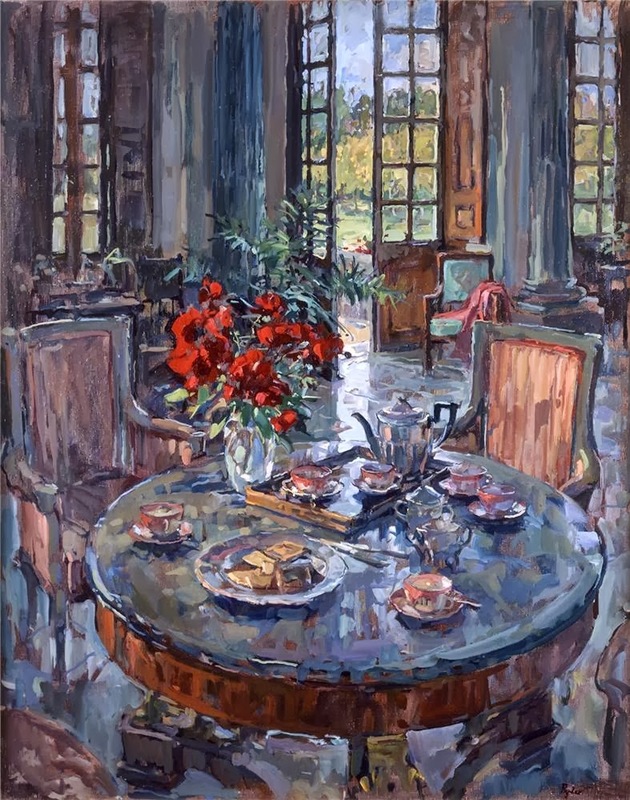 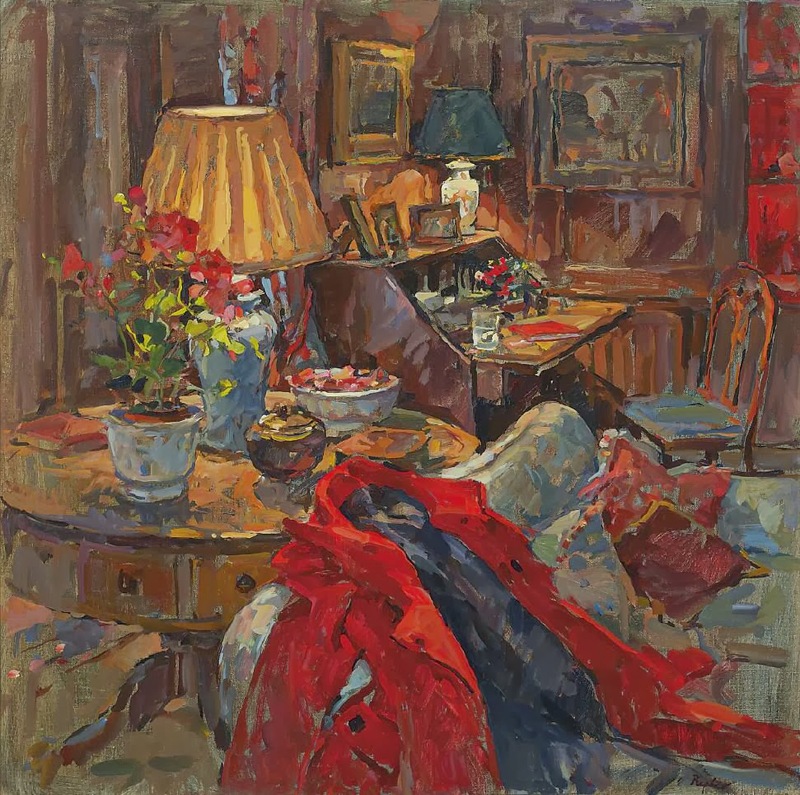 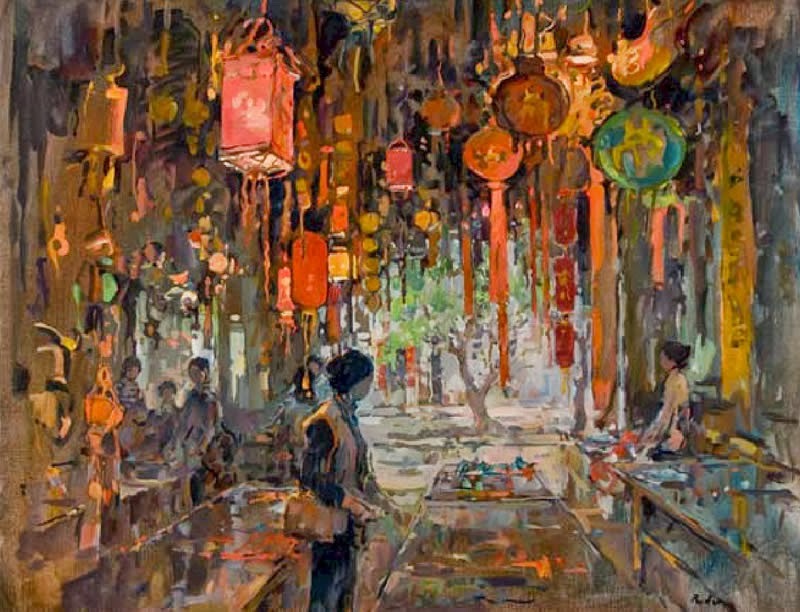 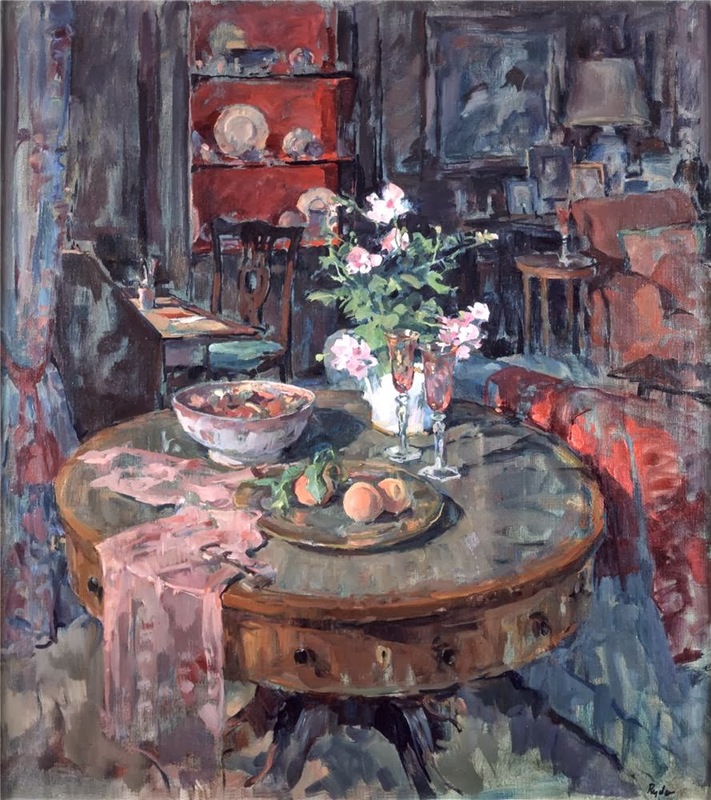 Sue’s work away from portraiture has proved even more successful, to the extent that the name Susan Ryder now conjures up images of the glorious interiors and sunlit terraces for which she is so well known. 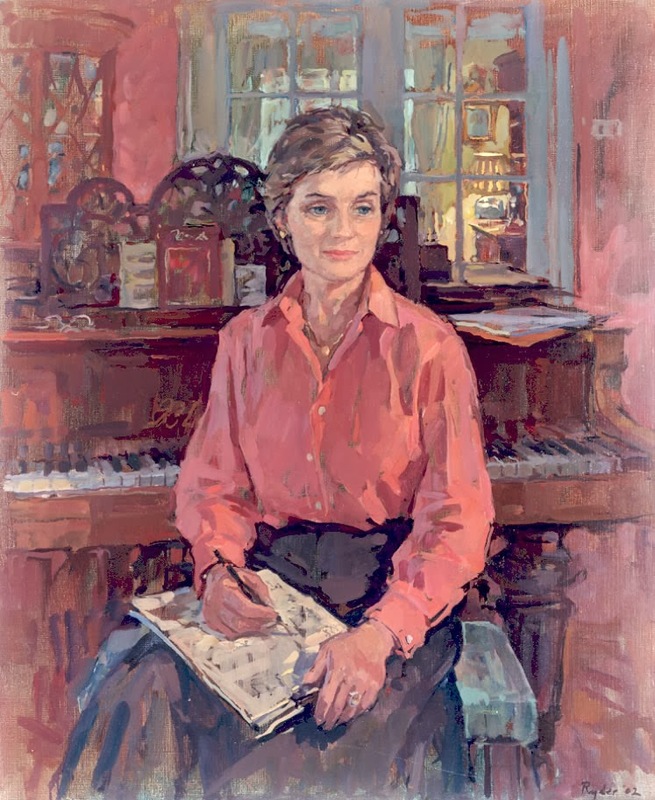 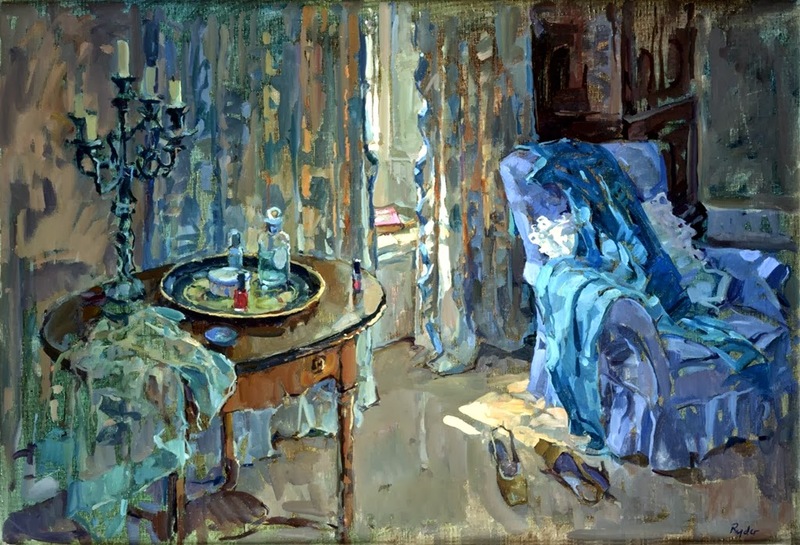 She occupies a place amongst the great names of contemporary British Impressionism as represented by the New English Art Club - a society of like-minded artists that can trace its philosophical roots from John Singer Sargent and Augustus John, through Stanley Spencer, to the present day and now includes Ken Howard, Tom Coates, Fred Cuming and Jane Corsellis. 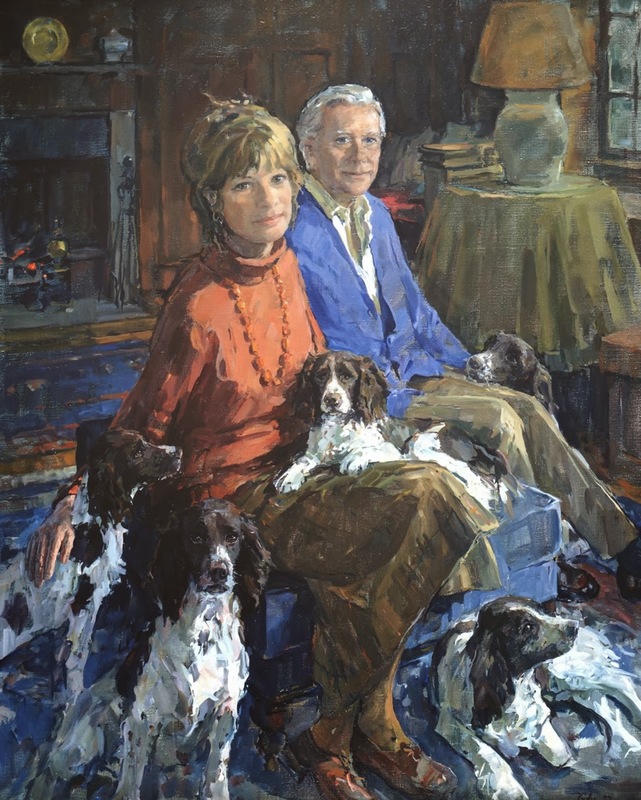 As a leading proponent of the New English style, Sue’s paintings remain in constant demand despite the ascendency of conceptualism in the current market and other passing trends. 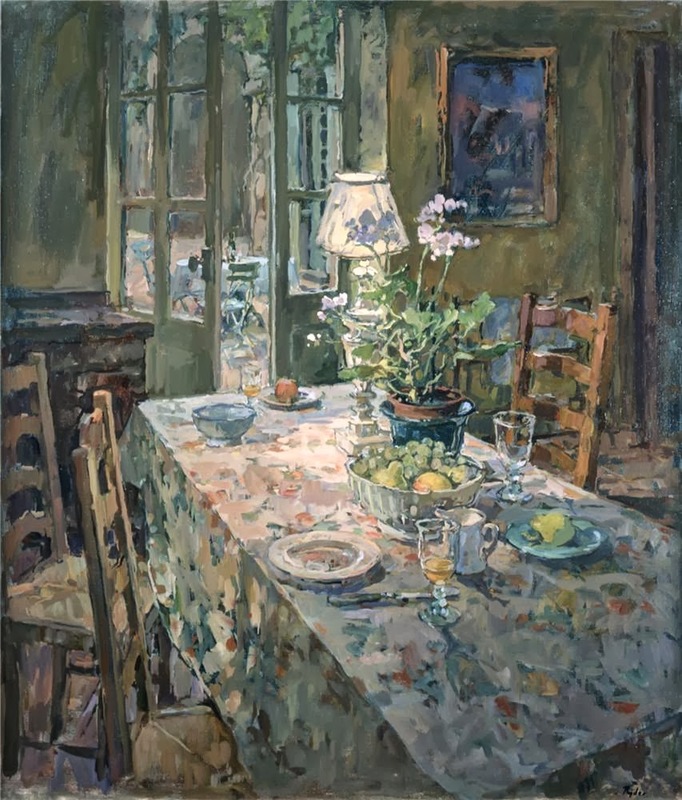 Her regular solo exhibitions in London invariably sell out, fuelling an increasingly strong secondary market – an indication of the sustained interest and appreciation of her work.